Send well wishes with this bouquet. 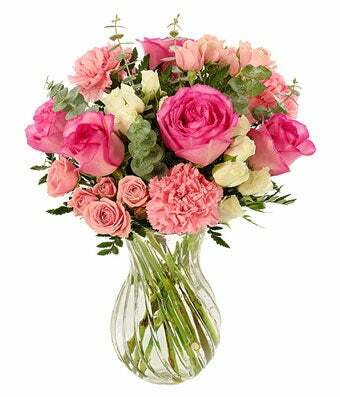 For Mom, for a friend, for you love, you can't go wrong with this sweet arrangement full of roses and carnations and more! Arrangement Height 15", Length 11.5"